Bar with a '70 athmosfere, Always renewd to offer Always different surrounding but the same relaxing feeling. Specialities: Gin tonic and live music. 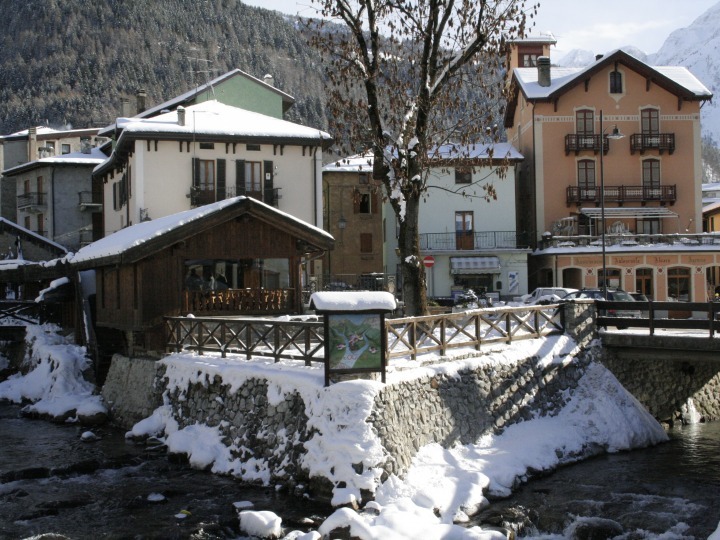 Located on the main plaza of Ponte di Legno, the Bar-Brasserie "Al Nazionale"
it the perfect stop, be it for a breakfast, a lunch or an aperitif, thanks to its wide selection of wines and spumanti, patisserie cakes, and typical dishes, all presented with an unique taste. 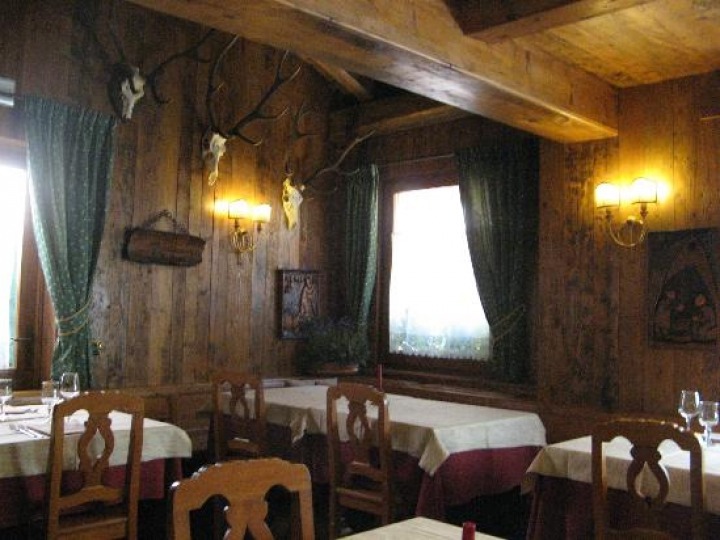 Built in an old inn on the road to the Gavia Pass and at the beginning of "Val delle Messi", in the Stelvio National Park, the Restaurant "Pietrarossa" (also known as “Gluttons’ rest stop”) can offer you a rustic setting where to try its traditional dishes, immersed in a cozy mountain atmosphere. 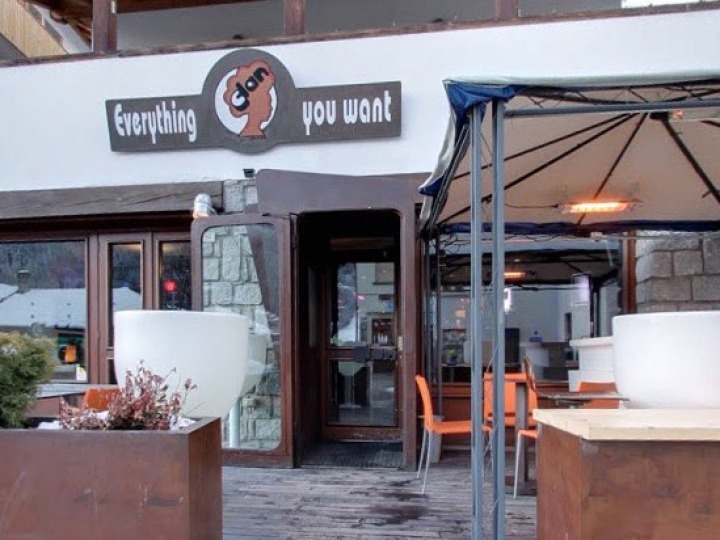 Founded in 1995, the pub is near both the city center and the ski slopes. 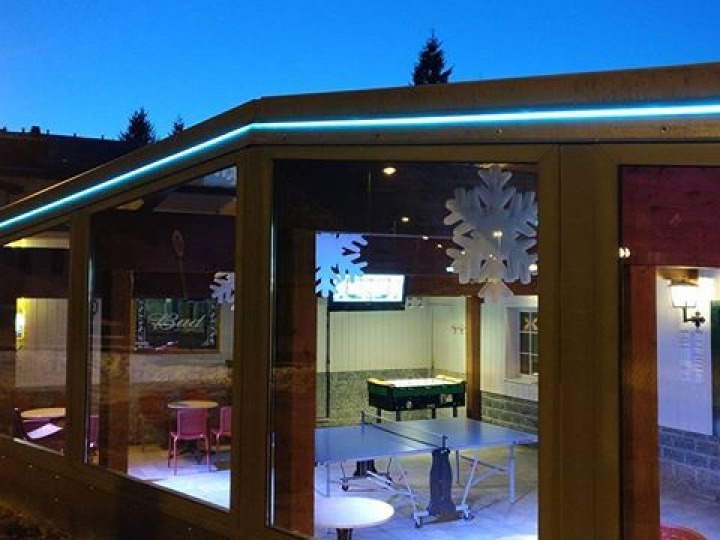 It can boast a selection of draught and bottled beers, cocktails, long drinks, sandwiches and panini. 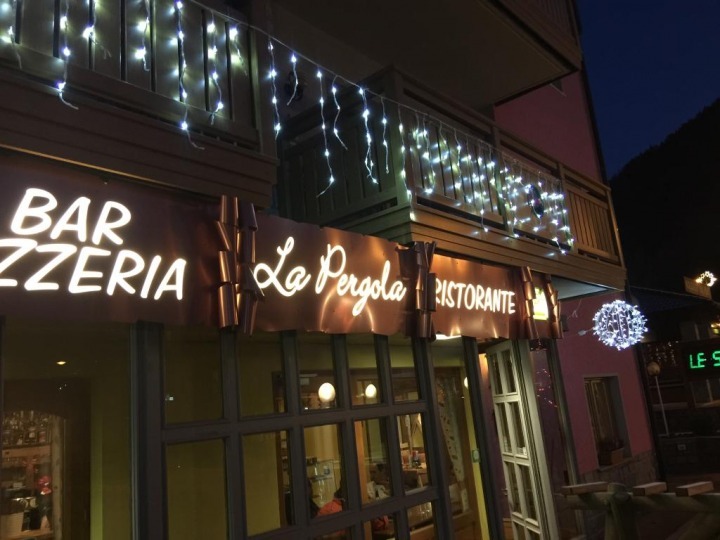 Next to the ski slopes of Ponte di Legno, the restaurant-pizzeria "La Pergola" proposes a varied menù composed of first courses of traditional dishes, secound courses of fishes and meats and the immancable Italian selection of pizzas. 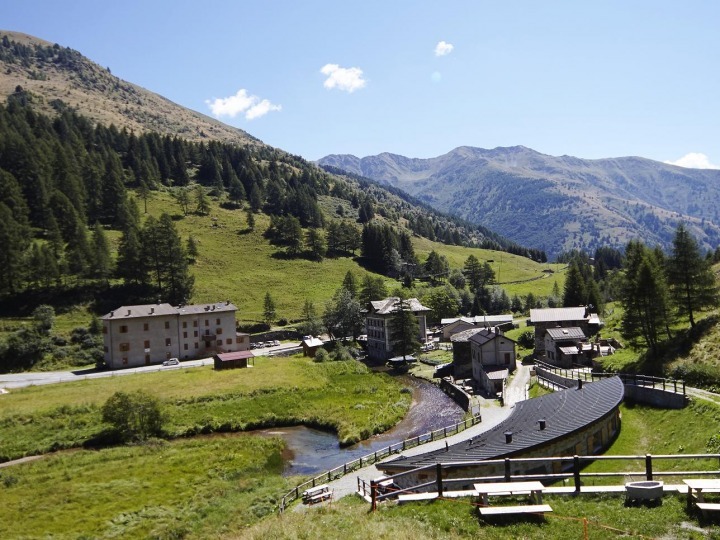 The Restaurant "Cavallino", situated in Cané, a village next Vione, can offer a stunning view of the valley, together with a genuine cooking, inspired by the Camunian culinary tradition; it's also possible to reserve a table on the panoramic terrace, to feed at the same time body and soul. 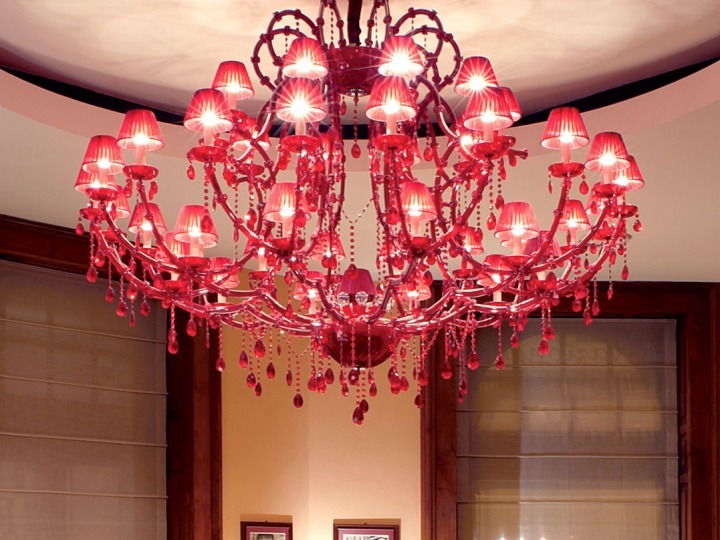 The wooden walls of this building, an ancient lumber mill become wine bar,will welcome you in a rustical atmosphere where to taste cocktails with cold cuts and cheeses selections, or choose from its wide list of wines, for instants of pure relax.